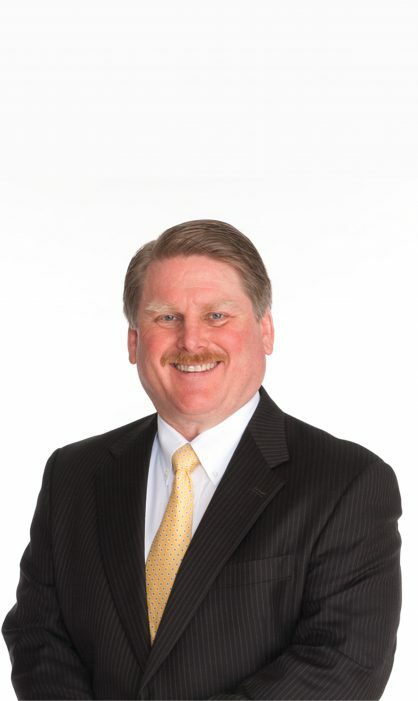 Brad Williams is an Investment Advisor Representative specializing in Retiree and Estate Planning. He has been an independent financial services representative and President/CEO of Brad Williams Financial Services, LLC since 1987. His wife Robin and daughter Bonnie work with him marketing the company and coordinating and planning his many free educational seminars and events around town. In addition to owning his own company, he is a two-time past president and active member of Huntsville’s oldest and most well-established Business Networking International (BNI) affiliate, Heritage BNI, a member of the Society of Certified Senior Advisors, and member of the Board of Advisors of Senior Market Advisor magazine. His company, Brad Williams Financial Services has an A+ rating as a member of the Huntsville Better Business Bureau. In 1979, Brad Williams was a part-time clerk and package handler on a conveyor line for a small start-up package-delivery company. By the mid-1980s, he had worked his way up the corporate ladder into an operations manager position in Birmingham, AL. Having made enough money by age 29 to seek advice from a financial advisor about his long-term financial goals, he found a mentor in his financial planner who believed Brad had a natural instinct for the business. Today, that “little start-up” is Federal Express, and in spite of being drawn to the strategic aspects of investment and retirement planning, Brad admits he “bled purple and orange” at the time. However, after a couple of years, FedEx began maturing into a huge company, and Brad began having his own growing pains. Under constant coercion from his financial mentor to join him as a financial advisor, Brad decided a career move might give him more independence. In 1987, still single at the time, Brad decided that if there was ever a time to do something crazy with his life this was probably the time to do it. He left his salaried corporate job with FedEx to embrace a commissioned job as an independent financial services representative, and he never looked back. It didn’t take long to realize that the rules and regulations in the financial services industry were ever-changing and that in order to survive, and most especially to succeed, he was going to have to be willing to change with it. Inspired by that advice, Brad made the commitment to participate in educational opportunities and training as often as possible. This willingness to stay on top of the changing atmosphere of his industry is something that helps to educate his clients as well. Investment Advisory Services offered through Sound Income Strategies, LLC, an SEC Registered Investment Advisory firm. Brad Williams Financial Services and Sound Income Strategies, LLC are not associated entities. The Ask Brad Show © 2019.